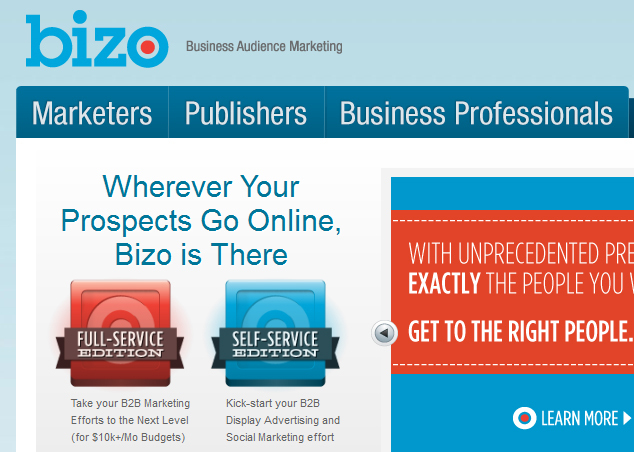 Tech Crunch reports : Bizo, a startup that helps advertisers reach a business audience, says that it brought in $22 million in revenue in 2012. The company spun off from ZoomInfo in 2009, and it has raised a total of $20 million from Bessemer Venture Partners, Venrock, Crosslink Capital, and others. The platform offers ad targeting and analytics, and it includes both display and direct-response advertising. Advertisers include General Electric, Nissan, Virgin America, Box, Wells Fargo, and eBay. The team has grown by nearly 70 percent to more than 80 employees. And the company says it’s now running ads on 4,200 B2B websites.